However, the actions of Peruvian authorities suggest a much lower regard for the river. Plans continue apace to interrupt its flow with the construction of a hydroelectric dam dubbed Santa Teresa II. In 2012, Peru’s Ministry of Energy and Mines (MEM) granted Luz del Sur (LDS) — a leading electricity distributor in the country and subsidiary of Californian Sempra Energy — a temporary concession to carry out environmental impact and engineering studies required for the project. Now, despite overwhelming local resistance, the government of President Ollanta Humala has given the green light for the initiative. The US$500 million project seeks to divert Urubamba waters through a 14-kilometer tunnel, moving hydroelectric turbines and eventually falling into the river’s basin. Santa Teresa II is projected to generate an installed capacity of up to 280 megawatts (MW). Around 2,000 families live scattered in 14 villages across the Vilcanota Valley, an environmental buffer zone for Machu Picchu. The area has a unique microclimate that allows them to produce a range of products from quinoa and coffee to flowers and fruit. The PanAm Post spoke with Tatiana Santillán, an activist for the preservation of the local environment and chairman of the town of Quellomayo. She explains that the project has fatal consequences for the area, and laments that local political representatives are failing to defend their interests. 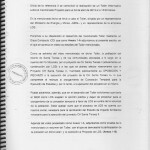 According to Santillán, Luz del Sur arrived unexpectedly with authorization from the government, and never informed residents about the project. The community of Vilcanota, she adds, know that private investment is necessary, and they agree with initiatives that support the valley’s development, but they ask for “smart, sustainable, and responsible” investments. However, in her view, government “arrogance” is leading the LDS project to destroy the valley and adversely affect the 90 percent of its inhabitants who survive through agriculture. 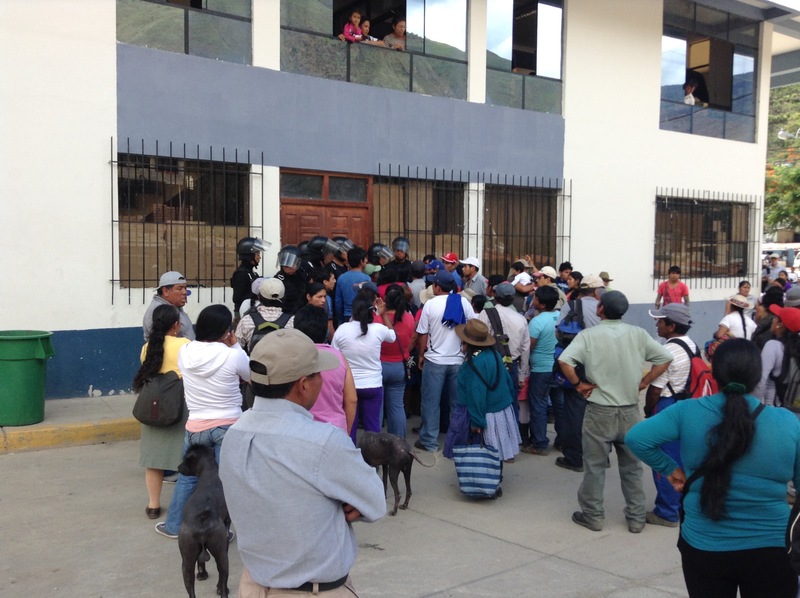 Moreover, the village chairman states that Santa Teresa I, the hydroelectric plant being built near Cusco by Luz del Sur since 2010, has caused extensive damage due to several mistakes made by the company. Santillán further argues that since the valley is a zone with direct environmental influence on Machu Picchu, Peruvian law prohibits any kind of excavation, deforestation, or development that could affect the environment surrounding the ruins, considered a World Heritage Site by Unesco. As such, community member don’t understand how the government has granted LDS the licenses for the project. “The government says that Peru is going through an energy crisis. We spoke with a company that wanted to do things properly and the government didn’t accept it, and now they want us to embrace Luz del Sur. We will not allow it,” she concludes. Between 2010 and 2012, before the arrival of LDS in the valley, the villagers were in talks with Andean Hydro. This company claimed to have plans for a hydroelectric project that would not only help to preserve the area but also open jobs for the community. When LDS subsequently arrived with the authorization for the environmental impact study in 2012, Vilcanota community leaders sought to make a deal with the company, but their attempts fell on deaf ears. Then, in December 2014, LDS convened locals for a briefing. “The day of the meeting, LDS put a row of military officers at the door, and only allowed those they wanted to go in. The rest of us were left outside,” Santillán explains. Scott Paton, a Canadian tourist who was in the area at the time and witnessed the incident, has confirmed this information with the PanAm Post. According to Paton, after the military refused to let local residents enter the meeting, representatives of the company and the government moved the meeting to another village. Local media subsequently accused villagers of causing riots against government authorities and LDS executives who went to Santa Teresa, he adds. Paton subsequently started a social-media campaign to inform international organizations about this situation, but it has yet to gain significant traction beyond the Vilcanota Valley itself. Representation for Sale in Peru? 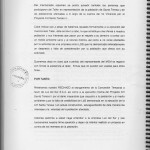 Following the procedure established in Peru’s Electricity Concessions Act, Santa Teresa residents have sent more than 10 letters opposing the scheme to various government agencies, including the Ministry of Energy and Mines (Minem), the Presidency of the Council of Ministers (PCM), and the Presidency of the Republic. They have not received any responses, aside from a note sent by Minem in September 2012 asking for residents to pay a large amount of money to have their claim heard. “The government normally charges for accepting opposition petitions filed by companies, but for ordinary people it should be free. Minem told us we had to pay about US$270,000 within 10 days so that they could process our opposition request,” Santillán explains. “We have sent new opposition requests and documentation explaining that we do not have to pay this, but so far we have not received any replies from the central government,” she states. Luz del Sur and Vilcanota residents have not held talks since December 2014. Santillán reports that they have also tried to communicate with San Diego-based Sempra Energy, owner of 80 percent of LDS shares, but have not received a response. 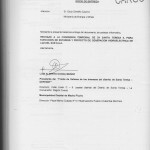 At the time of publication of this article, Luz del Sur had not responded to requests for comment.